Hiring from outside your industry has always carried large risks. Sometimes it can work out well, such as Robert Polet at Gucci. However, here's a case of JC Penney having to pay over $10MM to dump a newly hired COO coming from the credit card industry after only 5 months on the job. Making the wrong senior executive hire can be extremely costly. To find out some strategies to avoid this problem, visit this link. J.C. Penney Co. abruptly terminated its chief operating officer after just five months on the job because the industry newcomer failed to quickly learn how to be an operational retail executive, according to one person familiar with the situation. Penney announced the firing in a terse press release. The firing of Catherine West, the former president of the U.S. credit-card business for Capital One Financial Corp., highlights the hazards of recruiting executives from outside the retail industry. Among the industry outsiders joining retailers in senior roles during the past decade, "more have failed than succeeded," said Kirk Palmer, chief executive of New York recruiter Kirk Palmer & Associates, which focuses on the industry. "I'm hard-pressed to come up with too many examples from outside who have registered success in the retail environment." Among the retailers that have brought in top executives from different industries in recent years are Gap Inc., Levi Strauss & Co. and Home Depot Inc.
Ms. West's severance package will total close to $10 million, including accelerated vesting of stock options and restricted-stock units that she was granted to compensate her for forfeiting benefits at Capital One, according to spokeswoman Darcie Brossart. Ms. West oversaw store operations, property development and logistics, responsibilities that Chairman and Chief Executive Myron E. "Mike" Ullman III will assume. Mr. Ullman had overseen those areas before Ms. West's arrival in July. Penney, of Plano, Texas, which is in the midst of a big store-expansion plan, had put Ms. West in "an operational role with a lot of detail and substance" because "retailing is about 1,000 different details a day," the person familiar with the situation said. But "the operating assignment was not her best fit," this individual said, adding that Ms. West's commute to her home in Maryland every weekend also was a factor. Rather than try to find a new role for her inside Penney, top executives suggested that she quit, the person familiar with the situation said. But she refused to resign, partly because a voluntary resignation would have made her ineligible for the severance benefits, this person said. She also resisted resigning because she believed she "thought it was going to work [out]," this person said. Ms. West, who is 47 years old, couldn't be reached for comment. Penney officials believed that she would be a good fit because the credit-card business has such a strong customer focus and successful information systems, the person familiar with the situation said. Penney, which has updated its fashions in recent years, has been gaining market share. Profits are up. So is the company's stock price, despite slipping 76 cents, or 1%, to $77.64 in 4 p.m. New York Stock Exchange composite trading. The chain, which currently operates 1,037 department stores in the U.S. and Puerto Rico, opened 28 stores this year and plans to open 150 more over the next three years, including free-standing locations. It is also trying to win over midmarket customers who used to shop at the hundreds of stores operating under such names as Filene's, Hecht's and Foley's that Federated Department Stores Inc. recently converted to Macy's. A.G. Edwards analyst Robert F. Buchanan said he had considered Ms. West "an unconventional choice" for the job, given Penney's expansion and her lack of retailing experience. "It's very hard for someone from a nonretailing background to transition to a retailing job," he said. "It's a highly peculiar, tough and fast-moving business that does not lend itself to quick, on-the-job training." Penney isn't the only retailer to go outside the industry in recent years. In October, Liz Claiborne Inc. chose a top Johnson & Johnson official, William L. McComb, to succeed its retiring chief executive. In 2004, Gucci Group appointed Robert Polet, a 26-year veteran of Unilever, as CEO. Paul Pressler, a 15-year executive at Walt Disney Co., became CEO of Gap in 2002. In lieu of sending holiday cards this year, we have decided to run a social giving experiment called the Million Dollar Blog Post. 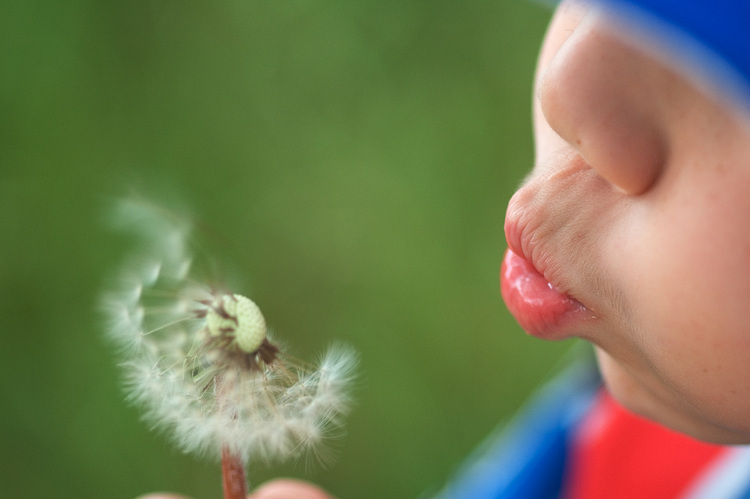 You can go the post, and make a wish for the world. We are arranging for $1 to be donated to charity for every wish left in the comments of this post. Feel free to share a few wishes with your friends, family or co-workers. We would like to collect a million wishes, and a million dollars (for charities). We aren’t sure how long this will take, but given the speed at which ideas spread on the Internet, we are optimistic about our goal. Happy holidays, and we look forward to reading your wishes. A few weeks ago, we discussed Yahoo! 's policy of compensating directors and potential problems, as well as our suggestion of the importance of outside directors having "skin in the game." Today, the WSJ reports of IBM's decision to get rid of stock options in favor of paying directors a retainer. We agree with Professor Elson that stock ownership does better align directors with shareholders. The solution, again, is that directors be required to purchase meaningful amounts of stock themselves (not through grants) and then be paid in cash. Read more on our suggestions here. The full story is listed below. Stock options, long touted by many companies as a vital tool for rewarding board members and aligning their interests with those of shareholders, are falling out of favor as a perk amid scandal and accounting and legal changes. Yesterday, International Business Machines Corp. said it no longer will grant outside directors stock options -- which give recipients the right to purchase company shares in the future at a set price. Instead, starting Jan. 1, those directors will be paid an annual $200,000 retainer, which they can take either in IBM shares or partly in cash -- though rules strongly encourage them to take the shares. IBM is only the latest big company to abandon options -- which are worthless unless a stock price rises -- in favor of compensation involving cash, restricted stock or outright equity stakes that both rise and fall with the share price. The move by the iconic company underscores a broader repudiation of options for board members two decades after many companies began to embrace them -- and could even accelerate the trend because of IBM's reputation as a bellwether of corporate behavior. Among others that have dropped the practice in recent years are retailer Gap Inc., recruiter Heidrick & Struggles International Inc. and food company Tyson Foods Inc. In 2001, as the stock-market boom of the 1990s crested, nearly eight in 10 big companies were giving their directors options, according to a proxy analysis of 350 major companies conducted for The Wall Street Journal by Mercer Human Resource Consulting in New York. By last year, the figure was down to 53%. The percentage may drop to as low as 10% by 2010, because boards now consider options "somewhat problematic," said Charles Elson, head of the Weinberg Center for Corporate Governance at the University of Delaware's business school, and a director of two public companies. Abandoning options "reduces the controversy" because "any potential for manipulation just goes away," said Peter Gleason, chief operating officer of the National Association of Corporate Directors in Washington. Options are suffering a heavy backlash after big corporate scandals such as the accounting frauds at Enron Corp. and WorldCom Inc. and the more recent backdating scandal, corporate-governance experts said. In those and other cases, critics have claimed directors, motivated to boost returns on their stock options, turned a blind eye to problems. The backdating scandal has revealed that dozens of companies altered their grant dates to days when their stock was trading at a lower price -- thereby boosting profits on options. More than 130 companies currently are under investigation for the practice in the biggest corporate-fraud probe in decades. An academic study released this week suggested that as many as 1,400 outside board members at 160 companies received questionable option grants, though the study didn't address whether they knew about it. Companies also are responding to new accounting rules requiring options to be counted as an expense after more than a decade in which they weren't. Under proxy-disclosure rules that took effect for fiscal years ending after Dec. 15, moreover, businesses must reveal far more detail about the elements and costs of board compensation packages -- which could make options less attractive. More broadly, post-Enron changes in laws and corporate practices have imposed greater demands on outside directors -- that is, those who have no other ties to a company. The New York Stock Exchange, for instance, now requires that a majority of board seats, and all compensation- and audit-committee members, be independent. That has prompted plenty of discussion about how best to compensate outside directors and keep them focused on shareholder interests while protecting their independence. Outside directors are supposed to play a special role safeguarding against cozy board relationships with management. "The overall governance thrust today is to have board members be [stock] owners rather than optionees," said Pearl Meyer, senior managing director of Steven Hall & Partners, a pay consulting firm in New York. Options focus recipients "too much on short-term movements in the stock price," she said. Director compensation has been a subject of heated debate and experimentation for more than two decades. In the 1980s, corporate reformers and some large institutional investors argued that options would help motivate directors to focus harder on shareholder returns by giving them ownership incentives. The idea gained fuel thanks to tax and accounting policies that kept options tax- and expense-free, and the large fortunes that began to be made by companies going public in the early days of the 1990s boom. According to Executive Compensation Reports, a newsletter that covered executive pay, just 1.6% of the nation's 1,000 largest companies gave directors some kind of stock in 1983. By 1994, nearly one in five did. No one has suggested that IBM's directors received backdated grants. An IBM spokesman said the Armonk, N.Y., computer giant's action was consistent with its practice of "broadly reducing our reliance on stock options" as compensation for employees and officers. IBM started expensing options in 2005 because of new accounting rules. But even before that, "we'd been saying we were reducing our reliance on equity compensation," he said. People familiar with the matter said IBM also believes options tend to make recipients more oriented toward short-term results than they are with other forms of compensation. IBM said the additional cash compensation for directors is equal to the value of the stock options outside directors have been receiving; each year they were given 4,000. Ironically, IBM's elimination of options increases the likelihood that outside directors will acquire sizable share stakes -- thanks to its substantial stock-ownership guidelines. The company pays 60% of these board members' annual retainer in a type of deferred stock known as "Promised Fee Shares," the latest proxy noted. Those shares are based on the market price of IBM stock. They accumulate dividends in the form of more Promised Fee Shares, and they can't be redeemed until retirement or departure from the board, at which time the director can receive either IBM stock or the cash equivalent. Under IBM's corporate-governance guidelines, such directors are expected "to have stock-based holdings in IBM equal in value to five times the annual retainer," the proxy added. With the retainer doubled to $200,000, each outside IBM board member must now aim to own $1 million worth of shares. The IBM spokesman said all the company's outside directors this year chose to invest all of their cash compensation in such shares. IBM directors include Lucio Noto, former chief executive of Mobil Corp.; James W. Owens, chief executive of Caterpillar Inc.; Kenneth I. Chennault, chief executive of American Express Co.; and Minoru Makihara, former chairman of Mitsubishi Corp. IBM Chairman and Chief Executive Samuel J. Palmisano is the only IBM employee on the board. Recent years have seen companies take a wide range of approaches to compensating directors. Coca-Cola Co. earlier this year unveiled a plan to pay directors solely through annually allocated "equity-share units," which can't be cashed until three years have passed -- and then only if Coke posts compounded annual growth of 8% in earnings per share. Similarly, Campbell Soup Co. board members will no longer get options as of Jan. 1. Instead they will receive an equal mixture of actual shares and cash, the big food maker disclosed in its latest proxy statement. "We have moved away from stock options as a form of compensation in part due to the change in accounting rules," a spokesman said. When Heidrick & Struggles eliminated options for directors in 2002, it replaced them with restricted stock units, believing that "would better align the interests of the directors with our stockholders," its 2002 proxy said. In light of later controversy over options, "it looks like it was a wise decision," said Gerard Roche, senior chairman. "We're in a position where we don't have any worries" about director compensation. Some companies eschew any stock-based compensation for directors at all. Those that pay outside directors only in cash include Alcoa Inc., Berkshire Hathaway Inc. and Sears Holdings Corp.
IBM won mixed reviews yesterday. "It's a welcome move" because options create incentives "that aren't in the interest of long-term shareholders," said Dan Pedrotty, head of the AFL-CIO's Office of Investment. But he said he wishes the company would go further and adopt a performance-share plan for directors. Union-sponsored pension funds have assets of about $400 billion. But Mr. Elson, of the University of Delaware, said he was troubled by the move -- even though outside directors must hold a high multiple of their cash retainer in IBM shares. "To show continued confidence, you have to own stock over the long term" and also be partly paid in stock, he said. "You should increase your [stock] position over time." Separately, American Tower Corp. said yesterday that directors and officers who received options at prices below the fair-market value on the legal grant date have agreed to "eliminate any benefit" by compensating the company in cash, or by canceling vested but unexercised options. The company will increase the exercise price of any unexercised options to the fair-market value. American Tower, a Boston-based owner of cellphone towers, said that the value of eliminating the benefit is $7.5 million. American Tower said it plans to eliminate similar options benefits totaling $7.6 billion for three former executives. American Tower has said that "there were a number of deficiencies in the company's stock option granting practices." Last month it restated results for 2005 to reflect a review of the options. A spokesman didn't immediately return calls seeking comment on the options issue or the names of the executives and directors involved. --Charles Forelle contributed to this article. Question 1. Looking back on Zero Knowledge, what were the keys to breaking through and getting such huge attention in 99/00? Like most things, it was the culmination of many little decisions and moves we made. If I had to summarize the main item it would describe it as our missionary zeal as opposed to mercenary drive. We were authentic in our passion. At Zero-Knowledge Systems, we led the company with our hearts. This would cause problems (see number 2) later but our passion in spreading our vision by evangelizing a different course for how the Internet could evolve was bold. We didn’t speak like other dot.com executives. We spoke like true believers. This allowed us to recruit some of the top minds in the field of cryptography, privacy which added to the momentum of the company. We were also unafraid to be risky. Our first press release ever issued was to criticize the US government for attempting to restrict access to cryptography on the anniversary of the United Nations Declaration of Human Rights and to launch a community movement to protest their efforts to force other countries to restrict access to cryptography. At a time when a lot of people were concerned about privacy as an issue we presented them with something to believe in. We also relentlessly spread the word. I traveled extensively and spoke around the world spreading our vision. This made our company the experts on a topic that was important, relevant and continues to challenge the Internet community today. Question 2. What's one "lesson learned" from that experience which you would share with other entrepreneurs about to do a start-up? The biggest would be to develop double vision. Guy Kawasaki talks about two types of views for startups, telescopic and microscopic. Those people with telescopic viewpoints look into the future with a clear vision of how their idea will manifest and be important. Those who have a microscopic point of view tend to focus intensely on the details of the implementations, the small steps required to move a ball forward. Every company and entrepreneur needs to develop both. While I think we had a great vision, our microscopic view was pointed in the wrong direction. We focused on details of advanced cryptography and technical implementations that really didn’t matter to the market we wanted to reach. We assumed that the credibility of the security experts, and media would translate into adoption by mass market users. I think if we had spent more time focusing on our goal of providing easy to use privacy for the average person, and focused our microscope on the steps required for that instead of the steps required to build the most advanced secure privacy system we would have had more success with our initial offering. Double vision is something I’m learning to appreciate, but I think it’s only the growing experience of making mistakes that is helping me learn to focus on the right things today. I don’t regret our approach that much though, since it was that very bold vision and the fact we were building something that was technically respected that allowed us to surround ourselves with an incredible team of talented individuals. We had the resources and people to adapt, learn our lessons and keep the company alive and kicking at a time when many others were dying. If we had been developing something more ‘practical and simple’ then I’m not sure we wouldn’t have been one of the many other dot.com dead pool companies. Instead Radialpoint is an incredibly successful and fast growing company. Our investors faith in us wasn’t misplaced. The team there has earned their success and I couldn’t be more proud of them. Question 3. You got to work with your father and brother at Zero Knowledge. How was that? Did it help or hurt working with family? I’ve been lucky to be in business with my family in many ventures. We’ve made angel investments together, and have even backed our brother Jeremy who runs a Segway rental and tour company in Montreal (SegCanada – www.segcanada.com ) . . Like with all partnerships, there are time when things get tense. Sometimes that stress is easier to handle when you know your family and most trusted partners are there by your side. At other times, there are unique elements of stress that reflect the personal nature of the partnership. There were some challenges, but in the end I couldn’t be happier with the results. My brother and father are the people who I trust take care of the team at Radialpoint who have been so loyal to us. Question 4. Will either one be part of Project Ojibwe? Question 5. What can you share with us about Project Ojibwe? We are interested in how social communities form around acts of generosity. There are very old customs of involving social bonds and community that we believe can be reintroduced in fun ways to the Internet community. We consider ourselves social entrepreneurs, but ultimately we care about our users having fun while conducting random acts of kindness. Sorry to be vague, but that’s all for now. Question 6. You could go anyplace. Why stay in Montreal? I’m back an forth across Canada and North America. I still have a place in Calgary and family there. At the end of the day, Montreal has some unique advantages for startups. They come with costs and tradeoffs, but after 4 startups and 12 years in the city I believe it remains one of the best places in North America to build software companies. The talent pool, the cities culture and quality of life are all great reasons to stay. Business failure has been one of the most discussed topics on the corporate landscape for the past five years. With the deflation of the “internet bubble” in 2000 and the scandals engulfing Enron, WorldCom and others, reducing the downside from uncertainty has become more important to CEOs and boards than ever before. What can leaders and their advisers do to avoid such mishaps? Although our understanding of business failure and corporate governance has improved over the past five years, in truth most organisations’ concept of managing uncertainty is limited to implementing new financial controls, protecting information technology and preparing for disaster recovery. We are still in our infancy when it comes to understanding uncertainty that arises from leadership, strategy and the internal workings of organisations. Yet what is more important to a company’s survival? If there is one thing all senior executives and board members agree on, it is that a major breakdown or failure should not happen on their watch. When you get right down to it, there are dozens, even hundreds, of decisions that are made in companies that keep the ship moving forward, and no senior group or board can possibly control them all. But if these decisions (and sometimes non-decisions) push an organisation to the precipice of failure, the senior group and board will be held responsible. This was certainly the case in many of the big business breakdowns of the 1990s. Companies such as Tyco, Rite Aid and Ford saw a revolving door at the top, and when things go wrong in such a public way, personal reputations often fall by the wayside as well. The solution, I believe, is to develop an early warning system that can identify – in real time and not after the fact – the vulnerabilities that can lead to a company’s failure. Armed with this information, leaders are in a position to make the necessary real-time adjustments before it is too late. The purpose of this article is to describe what an early warning system is, what it can do for you and how it can work in your organisation. The Sarbanes-Oxley Act and similar types of legislation designed to increase transparency and reduce uncertainty in organisations have turned out to be remarkably controversial. Not only are reporting requirements onerous, there is also a danger that senior executives, boards and investors will be lulled into believing that the major vulnerabilities confronting a company are “under control”. In truth, what Sarbanes-Oxley does not do, and what is of primary importance for senior leaders and boards, is to identify the real vulnerabilities they face. Companies today do not have effective models or hands-on tools to assess their vulnerability to major breakdowns. To do so requires direct attention to what our research has identified to be the major drivers of long-term success and failure: the leadership, strategy and organisational processes at the heart of the business. A further complication is that organisational problems of this nature are not often apparent, even to top leaders. How often do insiders take the time to check where they stand on these seemingly fuzzy topics? In speeches to senior executives and boards, I often ask participants to tell me about their early warning system for identifying failures. The most common refrain: “We look to our quarterly returns.” The problem is that by the time financial reports provide evidence of a breakdown, it is usually too late. I have spent the past eight years conducting research with companies in North America, Europe and Asia to try to understand the underlying causes of business failure. Much of this research came together in our book Why Smart Executives Fail. Since then, I have extended our research to identify the early warning signs for business failure – the key factors that differentiate high-performing companies that stay successful from those that are successful for a while and later falter. The result is a sophisticated yet easy-to-use diagnostic tool that I call the SMART Early-Warning System. Our research shows that most successful organisations fail because they either focus on the wrong information in the heat of battle – or ignore it altogether. In contrast, smart organisations equip themselves with a corporate early warning system that ensures that “lost signals” vital to long-term success are identified and monitored consistently. The most enduring and successful organisations, like well-prepared battalion units, have a system that constantly scans the environment for relevant information. This serves as benchmarks on which senior executives can assess their potential vulnerabilities to business disaster. And it provides time-sensitive, critical information on the barriers that prevent them from fully executing their vision and strategy. ■ SMART Leadership Do you have the right knowledge, attitudes and behaviours among your executives and directors? Do you possess the best team, board structure and processes to optimise debate and engage in rigorous analysis? Do you have the depth of talent to ensure future succession needs? ■ SMART Strategy Have you examined the underlying assumptions on which your strategy is based and are they still accurate in the light of recent technological innovations or competitive pressures? Are key stakeholders aligned with the strategy or are there “blockers” present? ■ SMART Process Is there a clear organisational structure and process in place? Does information from the far reaches of the organisation get to the board or management team in a reasonably unfiltered fashion so that action can be taken in a timely manner? Do your culture and employee commitment support the implementation of the strategy? These leadership attributes are critical. For example, while the Rudman report that investigated the collapse of the US mortgage lender Fannie Mae did not blame former CEO Frank Raines for the accounting fiasco, it did describe “an attitude of arrogance”, “an absence of teamwork” and “a culture that discouraged dissenting views”. You can’t get much farther away from the ideal than that! Coupled with some of the other key warning signs, these types of attitudes and behaviours are among the strongest indicators that trouble is coming. With respect to strategy, I have found that the major difference between success and failure boils down to strategic alignment and analysis of underlying strategic assumptions. Take the latter. How often do senior leaders, or the board of directors for that matter, take the time to identify the underlying assumptions that form the core of a company’s strategy? Time and again, I have found that critical assumptions were outdated, outmoded or just plain wrong. Business history is replete with examples. For example, Motorola experienced a meltdown in market share from 60 per cent to less than 20 per cent because senior managers wrongly assumed that customers preferred analogue phones despite the rise of digital. Only now, almost ten years later, is the company recovering under new leadership. The SMART Early-Warning System assesses the extent to which the most common assumptions that lead to failure are still in place. By identifying the strategic vulnerabilities in a company that result from these inappropriate or incorrect assumptions and doing so in real time, executives can take corrective measures before the costs of failure set in. There is no way to guarantee an end to business breakdowns. However, senior executives and boards can do much more to reduce the odds that they will happen. Traditional risk assessments are essential weapons for companies to use, but they are not designed to grasp the core elements of a company – its leadership, strategy and processes. Based on years of research, I can offer a different type of diagnostic tool specifically designed to identify an organisation’s vulnerability to breakdowns. The SMART Early-Warning System is all about uncovering the red flags that are not instantly visible. The logic behind an early-warning system is compelling. It is a form of insurance. Without regularly monitoring the signals that come from an early warning system, companies are actually increasing their vulnerabilities, something that no senior executive group or board of directors should let happen on their watch. For more information on a SMART Early-Warning System, please visit the following link. At the beginning of 2005, Morgan Stanley Lead Director, Miles Marsh, thought that the performance of the white shoe investment bank was on-track. "Performance had turned up," he said, as earnings per share rose 18% in 2004 and the firm was #1 in stock underwriting.i He and his fellow directors would no doubt have been surprised to learn that, just 6 months later, Chief Executive Philip Purcell would be ignominiously forced to resign his post after an unprecedented number of complaints from employees, ex-employees, and shareholders, putting a cloud over the entire board. It turned out that - despite several positive financial indicators - there were many warning signs that Morgan Stanley was headed for trouble. These signs went unheeded. The public and private battles, high-level executive turnover, and demoralized culture were not inevitable; it was through lack of attention that they became so. In our research we have found that Morgan Stanley is not the first - nor likely will it be the last - highly successful organization that sowed the seeds of its own demise. Based on six years of research that went into the writing of the 2003 book "Why Smart Executives Fail", as well as more recent research, we have identified the key organizational patterns that differentiate between high-performance organizations (like Morgan Stanley) that later fail in large part because of their success (what we call "Not-so-Smart Organizations") and other successful companies that have been able to maintain and grow their market dominance. We call the latter, "SMART Organizations," and, in this article, we outline the key factors that can help you determine whether or not you are building a software organization with "SMART Leadership." We have all seen successful software organizations that have their day in the sun. Earnings are up, maybe there's a hot new space that's attracting a lot of VC money, or there's a category-killer technology that is generating a lot of buzz. The CEOs in these organizations are typically splashed across the covers of major business magazines, and are given ample opportunities to outline in Inc., Red Herring, Fast Company, and CNET the reasons why they have been successful. Alas, in many of these situations, the excitement does not endure. A couple of missed quarters. New competitors emerge with an even more interesting gizmo. Larry Ellison said famously that over two-thirds of software companies will be out of business or consolidated within the next 5 years. Where is the Second Act for these organizations? For other one-time successful organizations, their Second Act is more of a slow bleed. They don't immediately head into bankruptcy. Rather these one-time giants quietly fade into market irrelevance or cannot raise further venture money and, instead, pull in their horns while they try to outlast their competitors, ceding market share and often profitability. Some of these firms are able to shake off the rust (look at Motorola's comeback under Ed Zander's leadership), while others must accept being acquired by competitors they used to rival in prestige and profits (think of Siebel's acquisition by Oracle). We call these organizations that struggle to maintain their market pre-eminence "Not-so-Smart Organizations," as their failures are almost always within their control. "Why Smart Executives Fail", outlines these major causes of corporate failure. However, in our research leading up to and since the publication of the book, we noticed that there appeared to be other successful organizations (in software and other industries) that were able to keep churning out steady and consistent growth, quarter after quarter and year after year. Why? As we began to look closer at what was going on in these two types of organizations at the board level, at the top management team level, and across the entire organization, we noticed some compelling differences. For example, while the "Not-so-Smart Organizations" seemed almost consumed by their financial performance to the exclusion of other organizational factors (Founder and CEO An Wang of Wang Labs, used to carry a note card displaying Wang Labs' stock performance versus IBM's), other organizations not only paid close attention to their own financial indicators, they were also carefully attuned to several organizational factors as well. Because these organizations all maintained and grew their market dominance, we refer to them as "Smart Organizations." Again and again, the same kinds of organizational factors appeared across these firms. They cluster into three groups, so we call them the Three Pillars of a "Smart Organization:" Smart Leadership, Smart Strategy, and Smart Process. Examples of "Smart Organizations" in our study included Google under Eric Schmidt, Sergey Brin and Larry Page, Dell under Michael Dell and now Kevin Rollins, Four Seasons Hotels & Resorts under Isadore Sharp, Gucci Group under new head Robert Polet, and the world's largest retailer Wal-Mart Stores under Lee Scott. According to our research, it's only through paying attention to each of these "Three Pillars" that an organization can help ensure that it will continue to execute the necessary high-performance financial indicators that all boards, top management team, investors, and analysts want to see. In the remainder of this article, we describe the role of the first of these pillars: Smart Leadership. The Three Pillars of a "Smart Organization"
The first commonality we found across Smart Organizations was that they possessed "Smart Leadership" at the Executive Team and Board levels. The "smart" label doesn't reflect their collective IQ (although all would have scored highly). Instead, what made their teams and boards "smart" was a combination of certain individual skill-sets that each officer and director possessed, none of these organizations had "Imperial CEOs" with thousands of faceless followers. Instead, they had teams, boards, and leaders throughout the organization who were the stars of the show. These officers and directors had skill-sets, knowledge, attitudes and behaviors that were in place in "Smart Organizations" but were conspicuously absent in successful companies who later headed towards failure. Skill-set #1: Breeding "Proactive Paranoia"
Several years ago, Andy Grove popularized the notion that "only the paranoid survive." While this phrase is now almost a Business School cliché, it is truly an embedded value we found in our sample of "Smart Organizations." Executives and directors from these firms believed that their market leadership was truly only a quarter away from slipping from their grasp. They maintained a healthy respect for all their competitors and never got too caught up in their success. Wal-Mart execs religiously track Target's and other retailers' moves, often visiting their stores at least once a month. By contrast, "Not-so-Smart Organizations" cavalierly disregarded the potential threat of competitors. Instead, they saw their market leadership as permanent and, perhaps because of this, often began spending lavishly on themselves and their corporate offices. Wal-Mart still requires all of its senior executives to share hotel rooms on corporate trips. And, if you have been to their Bentonville Home Office, you know that they don't waste an inch of space, stuffing cubicles together as tightly as they stuff product on Wal-Mart floor space. Sam Walton would be proud. Instead of providing all the answers, CEOs at "Smart Organizations" consult frequently with members of their team and board. This is not to say that the CEOs still do not play a lead role in charting strategy. However, each officer and director is comfortable speaking up and challenging the CEO's opinion. And, as important, the CEO knows that he/she doesn't have all the answers. Michael Dell puts it this way: "to assume that a CEO knows every single thing about every aspect of a company… I mean you take a guy like Jeff Immelt, Jeff's a great guy, a really smart guy. Can he know every single thing about all aspects of GE's business? Sorry. It ain't gonna happen. So, I think you got to have a system of processes and controls, and it's his responsibility, just as it is mine, to sit down with the teams on a regular basis and understand. 'Well, let's talk about your business, what are you doing, what's the control environment?' We rely on our teams to give us assurances. "v Together, the brainstorming and debate leads to better decisions. In "Not-so-Smart Organizations," you are much more likely to find the prototypical "Imperial CEO" providing the answers and believing they are absolutely right. We found that leaders at "Smart Organizations" weren't particularly fussed about how they or their organizations came across to others. It was much more important that they were clear on their own set of values and what their organizations stood for. Whether others "got that" or not was inconsequential to them. As a result, they came across as authentic. Examples include Mark Hurd at HP, Sam Walton at Wal-Mart, and Brian Roberts at Comcast. "Not-so-Smart Organizations'" leaders were very conscious of their and their organizations' image in the media. Great time, energy, and resources were spent crafting just the right media image. In some cases (think Carly Fiorina), the effort probably ended up doing more harm than good. The officers and directors from "Smart Organizations" had no trouble seeing themselves and their organizations for what they were at that moment. Even if they were already #1 in their market, they knew their weaknesses, as well as their competitors' key strengths. An example of wanting to stay ahead of the curve is Robert Polet, new Chief Executive at Gucci Group. He recently took the unprecedented step of applying standard business practices (such as focus groups, hiring outside consultants, and using industry benchmarks to increase the rate of inventory turnover in their stores) to the formerly highly cloistered organization that structured itself around the single vision of its former creative head, Tom Ford. And, although some longtime employees reacted to Polet's 'facing reality' tools "as if he'd used foul language," Gucci Group's sales are up 13% in the last quarter.vii By contrast, leaders at "Not-so-Smart Organizations" saw themselves as dominating their environments. One emerging leader who feared his organization had an over-inflated sense of how dominant they were in their market expressed his concerns this way, "we are a kitten, who looks in the mirror and sees a lion." Sometimes, admitting a mistake is tantamount to an executive wearing the Scarlet Letter in front of the group. Yet, "Smart Organizations" don't run from mistakes; they embrace them. They understand that their future competitive advantage lies in their accurately understanding why a current venture or division or product has failed. And then taking corrective actions. In the case of Wal-Mart, although they were highly successful in the United States, some of their initial international forays were not as successful. Their mistake? Applying the US store model, exactly as is, to these new markets. Their push into Argentina was especially painful. Yet, they learned from this experience in time to prepare for entering China, where Wal-Mart offers such local delicacies as barbecued pigeons, live frogs, and snakes of purported higher quality than that available outside the store at the local street market. Beyond the skill-sets listed above, there was one more, which was found in spades among officers and directors in the "Smart Organizations" we examined: Personal Accountability. These men and women took their roles and responsibilities very seriously. They did not accept simple answers to complex questions. They would push to further understand an organizational breakdown, or question an already successful process or division. Isadore Sharp, Chairman & CEO of Four Seasons Hotels and Resorts, has been responsible for driving this aspect of the firm's culture within its executives and employees for the last 35 years. One concept that epitomizes personal accountability has been etched into the culture as "The Golden Rule." Interviewed for this article, he explained the importance of this skill-set, and how it filters up to the Four Seasons' officers and directors: "The Golden Rule' is at the heart of our operating principles, and is part of every aspect of our business. Hotel staff is empowered to serve guests by making instant decisions, guided by the idea that one should treat others as one would be treated. Executives are similarly empowered, and with empowerment comes responsibility. In that way, we are all personally accountable for our role in the company's success." To have Smart Leadership in your software organization - and take the first steps towards building a "Smart Organization" - you must first understand its components, which we have outlined in this article. The 8 key skill-sets must be assessed on a regular basis to make sure that leadership retains its vitality and open-mindedness that characterizes smart organizations and is so often the downfall of the not-so-smart organizations. It is only through careful attention to an early warning system that smart leaders and smart organizations can remain smart. And it is precisely this early warning system that is at the heart of early prevention for companies that wish to avoid mistakes and breakdowns. i Davis, Ann, & Smith, Randall. 2005. "Delayed Reaction: At Morgan Stanley, Board Slowly Faced Its Purcell Problem." Wall Street Journal: August 5, A1. iii Delaney, Kevin J., Lunnsford, J. Lynn, & Maremount, Mark. 2005. "Wide-flying moguls: Google Duo's new jet is a Boeing 767-200." Wall Street Journal: November 4, A1. iv Bandler, James, & Lublin, Joann S. 2005. "Executive Privilege: Inside MassMutual Scandal, An Angry Wife Sparked Probes." Wall Street Journal: August 19, A1. vi Ward, Vicky. 2005. "Betting the Bank." Vanity Fair: September, 348 - 390.
vii Galloni, Alessandra. 2005. "Inside Out: At Gucci, Mr. Polet's New Design upends rules for High Fashion." Wall Street Journal: August 9: A1. ix From Davis & Smith, op. cit., and Ward, op. cit. The Fannie Mae Report of last spring shone a light into the systemic difficulties which brought down one of the most powerful organizations in the US. In this Washington Post Article by Steven Pearlstein, he notes that the report could have been titled "Why Smart Executives Fail" the best-seller by Dartmouth Professor and Jackson Leadership Consultant Sydney Finkelstein. Here's the article in full. It took 17 months to prepare, cost more than $60 million in professional fees and runs 2,652 pages. And yet, as the definitive word on what went wrong at Fannie Mae, the report submitted by former senator Warren Rudman and his colleagues at Paul, Weiss, Rifkind, Wharton and Garrison is surprisingly unsatisfying. You get the whos, whats, wheres and whens. But it's annoyingly short of the whys. That's not Rudman's fault exactly. As he explained yesterday, he and his crew took a lawyerly approach, laying out what they found out from hundreds of interviews and millions of documents, and the logical conclusions that could be drawn from them. What you don't get, however, is much of the context in which it all occurred -- the frenzy on Wall Street, the ridiculous escalation in executive pay, the widespread deterioration of accounting standards, the relentless political assault against the company by its competitors and ideological foes. And even after wading through hundreds of pages, you still can't figure out why so many smart, hardworking and basically decent people could get it so wrong. Too many trees, too little forest. The basic story line of the Rudman report is that Fannie's chief financial officer, Tim Howard, and a few of his loyal lieutenants cleverly and systematically twisted accounting rules in an effort to smooth earnings and meet bonus targets. For a while, they were able to hide it all from the chief executives and a vigilant board of directors while convincing outside auditors and lawyers that, even if they were wrong about a few things, it didn't amount to a hill of beans. When the truth finally emerged, however, Fannie's directors moved aggressively to clean house and put new policies in place. That, of course, just happens to be the story Fannie would want to put before a jury if, for example, it were to be sued by the Securities and Exchange Commission or by unhappy shareholders. Call me cynical, but I somehow doubt that's the whole story. For me, the most telling chapter comes near the end of the Rudman report. Freddie Mac has already been brought low by an accounting scandal, prompting federal regulators to order a thorough review of the books at its fraternal twin, Fannie Mae. Fannie directors have hired the blue-chip law firm Wilmer Cutler to ensure full cooperation with the regulators and conduct their own "substantive review" of Fannie's accounting policies. Wilmer, in turn, has hired a second audit firm, Ernst and Young, to bring fresh eyes to the accounting issues and the work of Fannie's longtime auditor, KPMG. At a crucial meeting in July 2004, Fannie's board gathers to hear the "second opinion" from its expensive new experts. As directors and top executives remember it, Wilmer Cutler and E and Y essentially gave Fannie a clean bill of health. No evidence of earnings management. Full compliance with generally accepted accounting principles. Total cooperation with the federal probe. It was not surprising, then, that directors went away relieved and reassured. But the reality, Rudman concluded, may have been quite different. Unbeknownst to the board, for example, regulators were furious over the resistance they encountered from Fannie Mae and its outside lawyers against producing all the documents that had been requested. Rudman's associates found several key documents that were withheld from regulators based on what he concluded was a pugnaciously narrow reading by Wilmer attorneys of the original request. In addition, E and Y would later tell Rudman that it had never been asked by Wilmer Cutler to give a "second opinion" about Fannie's accounting policies, agreeing only to a more limited role. Moreover, E and Y now claims that its accountants never concluded that Fannie's accounting policies were justifiable and reasonable but in fact had raised several red flags that might lead regulators to demand a restatement. Now I don't know about you, but I suspect there's a wee bit of fanny-covering going on here. Let's start with the directors. If, after Enron and WorldCom, any director who actually believed that there had been no earnings management at Fannie Mae -- or any other major company, for that matter -- ought to immediately check into the Betty Ford Gullibility Clinic. And it would have taken only a five-minute call to the Office of Federal Housing Enterprise Oversight for a vigilant director to determine how little cooperation regulators were getting from Fannie's legal pit bulls. At the same time, if E and Y and Wilmer Cutler had raised concerns about Fannie's accounting policies, I doubt they would have sat by silently in 2004 and 2005 as Fannie officials repeatedly invoked their good names in fending off criticism. In fact, they gave the answer they thought management and the board wanted to hear, collected their fees and are now scrambling to defend their reputations. As I was reading through that and other chapters of the Rudman report, I had a nagging feeling that I had read the story before. And then I realized where: in a management book about blowups of other once-successful corporations, written by Sydney Finkelstein, a professor at Dartmouth's Tuck School of Business. Finkelstein's insight is that big corporate mistakes aren't caused by stupidity, or venality, or by an unexpected bit of bad luck. Nor are they the result of flawed strategy or inability to execute, although those may sometimes appear to be the cause. Rather, Finkelstein says, the most spectacular corporate failures occur in companies that are so blinded by their own competence and past success that they instinctively tune out legitimate outside criticism. Inside, a positive can-do culture tends to snuff out criticism, dissent or negative feedback. Executives at these companies tend to be obsessed with the company's image, underestimate major obstacles, assume they have all the answers and stubbornly rely on what worked for them before. The reasons behind most corporate collapses, according to Finkelstein, entail the deep-seated psychological need people have at all levels of a company to belong and get along, to rationalize what has already been done or decided, and to put off loss or failure. "From what I know about Fannie Mae, it certainly fits the pattern," Finkelstein told me yesterday. So if you want to know how Fannie Mae misstated its earnings and ran itself off the rails, Warren Rudman's 2,652-page report is probably as good a guide as you're going to get. If you want to know why it happened, save yourself some time by reading Sydney Finkelstein's 290-page "Why Smart Executives Fail." Who's on first at Yahoo! after the reorg? Who reports to Sergey Brin at Google? How many direct reports does Steve Ballmer has? All this and more is revealed at Cogmap - a Wiki Org Chart service. Brent Halliburton from Cogmap contacted me earlier this week to share their most up-to-date version of Yahoo! 's org chart post-reorg. It's located here. The more people who visit and update it, the more accurate and useful the information becomes. When there's little info, it's not so useful (such as the current Fox Entertainment Group chart). Most interesting things about Yahoo! 's chart? Brad Garlinghouse is still floating in Audience Group under Jeff Weiner. And the 2 founders are off to the side under Terry - no direct reports; a contrast from the 2 founders at Google. A week has passed since the reorg at Yahoo! The reaction has taken two forms: (1) impatience and calls for more dramatic steps including a change at the top and (2) satisfaction that this has set a chain reaction that will ultimately lead to better days ahead. The mainstream blogs has covered the tension-racked moments of last Tuesday, when many Yahoo!s were emailing TechCrunch with their updates on what was being announced at the reorg, and the feel-good and action-packed holiday party moments of last Saturday night (great pic from Valleywag above). The business press has also chimed in with some suggestions on how to fix what ills Yahoo!. - There are now 3 main divisions: Audience, Advertisers, and Technology -- or, if you like, Programming, Sales, and Technology supporting both. Is this really all that different from the previous structure? No. The old management bios (still up on Yahoo's website) state that there are 6 execs who are really at a level above the other managers: Terry, the 2 founders, Dan, Susan, and Zod. The new structure was to give new titles to Dan, Susan, and Zod - with the founders continuing to do their thing apart from this. It's obvious that Dan saw this as a step down from COO (which had him above Susan and Zod), and decided to depart. (He'll take $1.4MM with him for 2+ months of work next year.) Now, the search is on for an external person to head Audience. From a day-to-day perspective: new titles, same stuff under each. - Susan Decker is elevated. It appears this wasn't the original plan. The thought was to make Dan, Susan, and Zod a triumvirate, which would have been very awkward and eventually led to someone leaving later when Terry's successor is announced. Regardless, it is a great opportunity for Susan. Yet, as Henry Blodget said, will she really be empowered to do what she wants to do in this position? Not yet. Should she be? Yes. - Dan Rosensweig is gone. I don't blame him for leaving and am sure he'll land on his feet somewhere. (Until then, he can hang out with Steve Case, Bob Pittman, Ross Levinsohn, and Jonathan Miller - a growing list of new media execs looking for the next big challenge to restore prominence to their good names.) It's interesting that I've seen no positive comments from current or former Yahoo!s about Dan. The only positive story came from his old Ziff-Davis colleagues at CNET. My concern for Yahoo! : why is he hanging around until March? If someone offered his resignation at my company, and I couldn't convince him otherwise, I'd want him gone immediately. It's best for all concerned for a quick exit. My suggestion for Dan: Go to CNET now. You'll find no better chance to turnaround a company you know as well. That will set you up nicely for your next adventure after that. - Accountability and Speed of Decision-Making is supposed to be Increased from the change. However, two big problems: (1) there is no head of the Audience group to speed decision-making or hold others accountable and (2) Susan Decker is doing her old job plus her new job until a new CFO is found. It also remains to be seen how the change in structure really changes anything in Technology. It's still organized as it was pre-Dec. 5th. - Yahoo! is entering a Third Phase. In the media interviews and his blog posting following the announced reorg, Terry described Yahoo! as now being ready to move into its third phase as a company. Phase One was "get big fast," Phase Two was "Focus," and Phase Three is about "Customers." It's a great sound-bite, but what does it really mean? Were they not focused on customers before? Not much has really changed at Yahoo! with this reorg. In fact, until a new Audience head and CFO are hired and brought up to speed (a process which will take at least 2 months post-hire), decision-making and "through-put" should slow, not quicken. - Elevate Decker to President - now. Audience, Advertisers, and Technology should all report in to her. She will have to oversee Audience, at least until the new person is brought on. - Buy Baidu.com. Want to make a game-changing acquisition that shows that Yahoo! is back and ready to play? Buy Baidu with stock and merge it into Alibaba.com. Google would be back on its heels in the fastest growing market in the world. - Start paying a Dividend. Remember all the yakkity-yak about Microsoft's refusal to pay a dividend? It's still a rare thing to do in the tech world. That's why it would send a strong signal to Wall Street and other stakeholders that Yahoo! is bullish on its future. It will also immediately give some juice to the stock price. - Articulate a Vision for Yahoo! Social Media and hire Lloyd Braun's replacement immediately. Obviously, Yahoo! wants to make its mark here. However, that's like saying every network exec wants to find the next Lost, Friends, or Desperate Housewives. No one expects Yahoo! to say which companies they are going to buy or specific products they're going to develop. However, some vision statement about how Yahoo! is going to build on successes in Fantasy Sports, del.icio.us, Flickr, and The Nine (which combines video, personality, current events, and Web in an entirely new way) would be helpful. A vision is not saying "We were really smart to buy del.icio.us and Flickr and they're now very popular today." A vision is saying what you're going to do differently in social media which will cause all your competitors to play catch-up. - Articulate multi-form Search Vision. Yahoo! rightly should crow about its leadership in banner and "rich media" advertising search and Yahoo! Answers. Don't get caught in a direct comparison shoot-out with Google on general search. Explain and articulate all the facets of search and how you are leading in a number of them. Tell us how search will be a different game two years from now than today. Even if you're wrong, no one ever goes back and checks. There are a number of other product fixes/upgrades that different people have mentioned in previous posts and, of course, the requisite plea to ship Panama asap. Everyone at Yahoo! understands that stuff already. As long as Terry's around, let's also hope he drops the scripting points from Corporate PR and gets mad and gets real every chance he gets. Although not perfect, I thought he made some good impressions in his appearances last week. Clearly, the criticism has stuck in his craw. He's thinking legacy and he wants to go out on a high, not a low (who can blame him?). He's going to fight to preserve his legacy and that's probably a good thing for all concerned. But it's going to take more than a press release reorg. It's going to take real action and change. You don't build or rebuild a culture overnight. It's been a few days now since the dust has settled at Yahoo! with their reorganization. We'll have more to say later on the new structure and the next steps in the organization's development. However, it's certainly a step in the right direction. First off, let's give credit where credit is due. In media appearances done by Terry Semel in the last two days since the announcements, he's shown more fire-in-the-belly than I've seen from him in the last 5 years. Maybe it's a reaction to the rash of criticism that has beset the company, but he has come out swinging -- and it looks good on him. He needs to tap into this and channel it moving forward. It comes across as much more authentic. In reading through some of Terry's remarks in the past few days, there appeared to be similarities of previously made points from Breakout Performance's 'open letter' to Jerry Yang and David Filo dated November 17th, which marked the first time we discussed CEO succession at Yahoo! and put Sue Decker's name forward as the best internal or external candidate available for Yahoo!, while also suggesting Dan Rosensweig needed to step aside. December 5/06: Terry Semel in his blog posting following announcement of the Yahoo! reorg: "Yahoo!’s original strategy of “get big fast” (building audience and brand) needed to change. Yahoo! was ready to enter its second phase.... Yahoo! is now entering what I call its third phase — one focused on customers." November 17/06: Breakout Performance open letter to Jerry Yang and David Filo: "Although the historians might quibble, there have really been two phases in Yahoo’s development as a company: (1) under Tim Koogle's leadership and (2) under Terry Semel's leadership.... What is needed now at Yahoo!... to take it into its third phase of growth for the next 5 - 10 years?" December 6/06: TS at Yahoo! all-hands meeting the day after the announcements: "So, we could read about how I'm gonna join some retirement home." November 17/06: BP: "He’s going to be 64 next February. Neither [Jerry, David,] nor Terry expected that this job would last 10 years. Five years has been suitable to make the changes he [Jerry, and David] wanted him to make. He has certainly left Yahoo! a better place than how he found it. Now is the perfect time to enjoy retirement, moving back full-time to Bel Air and making a significant contribution to a number of important boards across the country." December 6/06: TS at Y! all-hands: "And we could read about how the company doesn't have a vision." November 17/06: BP: "Articulate the Vision. The new CEO must articulate a definitive vision for Yahoo! [The company has] a vast array of assets. You can truly define how we will all interact with the Web and rich content moving forward. Yet, the company's leadership has failed to. Into this vacuum, the Skype guys have wrestled this opportunity away from you and are seen - currently - as the 'thought leaders' with the Venice Project. It's not too late. Take back the mantle by having Yahoo! blare its vision from the hilltops and then achieve it!" Regardless of the similarities, Terry Semel can be pretty satisfied with the way this week has ended up. I agree with Henry Blodget that he has handled these last few days with professionalism. He did the right thing by acknowledging the "Peanut Butter Memo" and encouraging other Yahoo!s to speak out in the future, but not mentioning Brad Garlinghouse by name. Congratulations, Terry. The company is closer where it needs to get to this week than it was last week. The Chartered Institute of Personnel and Development has been a leading light on HR issues in the UK for a number of years. In this podcast, they tackle the difficult questions of "what leadership means" and "how you find the leaders you need?" In it, they interview Jackson Leadership Special Consultant and Dartmouth Tuck School Professor Sydney Finkelstein. 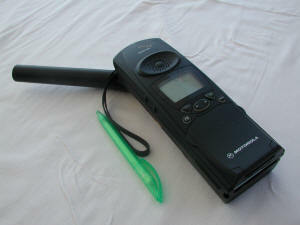 Remember Motorola's Iridium satellite phones? They allowed subscribers to make calls from virtually any global location, thanks to a set of low-Earth-orbiting satellites. It was a $5-billion project that was meant to revolutionise the mobile phone industry. After a high-decibel launch in November 1998, Iridium tanked. In 1999 the company filed for Chapter 11 bankruptcy. Popular perception suggests that Iridium nosedived because terrestrial cellular telephony spread across the world faster than anticipated. But Sydney Finkelstein, professor at Tuck School of Business, disagrees. "The Iridium story is a brilliant example of executive mindset failure," he says. "They got the strategy wrong believing they had it all figured out. They didn't have a good sense of market changes." In the 11 years it took to bring it to market, cellular telephony spread across the globe, dramatically shrinking Iridium's target market of "executives who regularly travelled to areas not covered by terrestrial cellular" . Two, even while the product was being developed , likely problems in design , operations and cost came to light. Motorola executives knew all this but went ahead with the initial plan. Partly because Motorola's owners saw Iridium as a sign of the company's technological might and it was a matter of pride for them. Besides CEO Edward Staiano believed that leaders need to take ownership of their projects. So despite a bad business plan and an increasingly obsolete technology, Staiano went ahead fullsteam. Others have blundered too--like Wang Labs, Cabletron, Xerox,... Finkelstein was prompted to fstudy the causes behind them. "There is so much literature on success already. Whereas we can learn so much from failure and bad practices ," he says. After six years of research, Finkelstein wrote Why Smart Executives Fail in 2003." A lot of corporate failures are attributed to changes in technology, competitors and consumers. If you delve deep, you'll figure that the real reason is failed leadership." But why do leaders develop these blindspots? One reason is 'executive mindset failure', like in Motorola's case. The second mistake is nursing delusions of being a dream company. Take Wang Labs, one-time technology powerhouse and inventor of the Word Processor. It had sales of $3 billion whereas IBM was at $47 billion. After the Word Processor's success, founder An Wang started believing that IBM's doom was near. "He carried a little chart in his pocket which showed how one day, Wang would surpass IBM. He would often flash that out," says Finkelstein . When his son said that IBM's personal computer could be a threat to the Word Processor, Senior Wang remarked: "The PC is the stupidest thing I have ever heard of." "Eventually Wang Labs got wiped out," says Finkelstein. Then there are other organisational issues like the breakdown of communication . Xerox's Palo Alto Research Centre invented the ethernet, the computer mouse, the graphical user interface that Apple's Mac adopted and the laser printer. Out of these innovations Xerox commercialised only one: the laser printer. "Because the core of the business understood what that was and what they could do with it," says Finkelstein. But information on the other inventions never reached the right people who could have used it within Xerox. Reason No 3 is what Finkelstein calls "leadership pathologies" (See 'Blunder Bosses' ). "Cabletron was once equivalent to the size and profitability of Cisco. But over 10 years, it fell apart," says Finkelstein. Part of the reason was CEO Bob Levine, who believed that rivals like Cisco were producing inferior products, so they didn't need to worry about them. And that if the customers couldn't see that, Cabletron's salespeople would make them see it. There are some simple thumbrules to help CEOs guard against these mistakes. "When embarking upon a new project , finance it the way a venture capitalist does," says Finkelstein . So you get some funding, achieve a few milestones, and then get more funding. So you don't pump a $5-billion investment into Iridium at a time when the environment is changing. Two, one needs to be wary of situations when a project becomes a personal goal--you feel the need to take it through, come what may. "CEOs need to check this tendency," says Finkelstein. Senior executives should ask tough questions. "At Dell it is a standard practice to ask questions like: what may go wrong here, are we thinking of this the wrong way, what could a rival do to disrupt what we are doing. There is a lot of scenario planning in companies that think this way." Every company needs to evolve "early warning systems" -- or ways to identify potential vulnerabilities Most CEOs rely on quarterly results for this. But by the time the quarterly results come, it is too late. "It's like saying well, once cancer is in your body, we know we have cancer and you are much better off preventing it," says Finkelstein. Instead companies should watch out for danger signals like unnecessary complexity in procedures and solutions; growing too fast too soon; senior executive quitting en masse; and excessive hype around yet-to-be-introduced products. Sounds familiar? Over the past 15 years, the board of UnitedHealth Group Inc. couldn't have been more supportive of its chairman and chief executive, William McGuire. Directors lavished close to $2 billion in compensation on him, counting stock options, as he built UnitedHealth into one of the country's largest health insurers. Some directors moved with him in social and charity circles. "We're so lucky to have Bill," director Mary Mundinger said earlier this year. "He's brilliant." Last week, Dr. McGuire left his job, following a vote by the same board to dump him. It acted unanimously in October after concluding that his explanations for a pattern of unusually well-timed stock-option grants didn't add up. Dr. McGuire thus became one of the biggest casualties in the options backdating scandal, which so far has swept away more than 60 corporate officials, including 16 CEOs. (See related article on page A3). How did one of America's most pliant boards turn on its star chief executive? Dr. McGuire's support slowly leached away over the course of a six-month internal investigation. Documentation that could support his defense was sparse. A board-ordered statistical analysis undercut his arguments. And his closest board ally was sidelined by a conflict of interest that unsettled other directors. In the end, directors felt pressure after their lawyer told them federal regulators appeared likely to charge the UnitedHealth chief. Now, Dr. McGuire and the board are girding for tense negotiations over how much of his giant cache of stock options, many still unexercised, he'll be able to take with him. He has already agreed to surrender about $200 million of those options' value, and people close to the situation say the company hopes to get back at the very least $250 million more. He is still likely to end up with more than $1 billion, although last week a federal judge hearing a shareholder lawsuit temporarily barred him from exercising any options or receiving any retirement pay. Dr. McGuire's lawyer, David Brodsky, said, "While neither a lawyer nor accountant, Dr. McGuire believed that the processes by which options were granted were transparent, appropriate and approved. Indeed, experts who reviewed these processes never raised concerns at the time about the stock options program." Dr. McGuire himself declined to be interviewed. Dr. McGuire's troubles began in March, when The Wall Street Journal published an article raising questions about exceptional patterns of stock-option grants at a number of companies, including UnitedHealth. In three separate instances, the article found, Dr. McGuire had received options at UnitedHealth stock's lowest closing price of the year. That made them especially valuable, since options typically convey a right to buy the employer's stock in the future at the price on the grant date. The formula means a recipient can profit only if the stock rises. But it turns out many companies cheated by granting options on one date and pretending they had been issued earlier, when the stock was cheaper. Besides Dr. McGuire's grants at yearly lows, a number of his other grants were dated just before price runups. After the article, Dr. McGuire initiated an internal investigation. In early April, the board formed a special committee. It hired William McLucas, a former Securities and Exchange Commission enforcement director, now at the law firm of Wilmer Cutler Pickering Hale & Dorr. At the outset, Dr. McGuire could draw on a big reservoir of goodwill from directors. A former pulmonologist, he helped coordinate care when the wife of one director, William Spears, fell ill. Dr. McGuire's family foundation and the company gave generously to charities some directors were involved with. And directors had made millions from their UnitedHealth options as the stock soared more than 50-fold during Dr. McGuire's tenure. That enormous rise accounted for most of the millions Dr. McGuire earned. Of 10 outside directors, the CEO had strong support from at least four: Mr. Spears, a New York money manager and friend; Ms. Mundinger, dean of Columbia University's nursing school; Thomas H. Kean Sr., a former New Jersey governor and chairman of the 9/11 commission; and Gail Wilensky, a specialist in health-care policy. The first three had served on the compensation committee during much of the period under scrutiny, making their own conduct an issue in the internal probe. But Dr. McGuire's core allies would have little role in shaping the investigation. That fell to the special committee, led by James Johnson, a former chief of mortgage giant Fannie Mae who recently served as an adviser to Sen. John Kerry's presidential run. Also on the panel was Douglas Leatherdale, a former chief of insurer St. Paul Cos., and Richard Burke, a founder and retired CEO of UnitedHealth, who was friendly with Dr. McGuire. The committee closely supervised the lawyers and accountants doing the actual digging. Other directors were filled in later and less frequently. Complicating matters was that the board had given Dr. McGuire broad latitude to issue options to subordinates as well as to a right to choose when he wanted option grants to himself made. After picking a date, he had to get approval from the compensation committee. The key question the WilmerHale lawyers faced: Did the board committee really approve Dr. McGuire's grants on the dates reflected in company regulatory filings? Or might they have been backdated to low-price days that would make them more lucrative? Directors asked for records to show the options were approved on recorded grant dates. Management came up largely empty-handed. Some minutes of compensation-committee meetings were missing. Others didn't mention approval of any grants near a period in question. In interviews with the WilmerHale lawyers and in phone calls with directors, Dr. McGuire said he hadn't backdated anything but, rather, had chosen to receive grants when the stock was low after a decline, according to people briefed on the conversations. He expressed disappointment that there wasn't more corroboration and that underlings hadn't kept proper paperwork. Dr. McGuire also stated that as a man of high ethical standards, he wouldn't have fabricated anything. He said that after picking a date for his grants, he would seek approval from Mr. Spears, head of the compensation committee, or occasionally another panel member. The main person who could verify this account was Mr. Spears. He told the board's lawyers that while he recalled conversations with Dr. McGuire, he couldn't be sure when they actually took place. Phone records showed the two talked frequently, often around the times of some grants, but these records proved little because the two were close friends. Mr. Spears's value as a witness soon suffered a blow. The money manager told the lawyers he had handled more than $55 million of the McGuire family's fortune and had accepted a $500,000 investment in his own business from Dr. McGuire. Mr. Spears maintained he had disclosed this conflict of interest to the board before. Two 1999 documents supported that account: an email and an executive's handwritten meeting minutes. But among the directors, only Mr. Kean thought it was possible he could recall having been told of the relationship, say people familiar with the matter; the others said they had no idea. Mr. Spears was honest, the entanglements tainted any defense he might have made of Dr. McGuire. Aware of fellow directors' feelings, Mr. Spears stayed on the debate's sidelines in later meetings, says someone familiar with the gatherings. On June 25, Mr. McLucas brought some compelling data to the board's special committee. His presentation showed that grants were regularly dated at or near the stock's lowest prices for the quarter, a suspicious pattern. Later, directors learned that after the mid-2002 passage of new federal rules requiring almost immediate disclosure of option grants, there wasn't a single quarter in which the large grants customarily given to top executives were dated at a quarterly low. The point: After rules had made backdating impossible, Dr. McGuire's purported ability to pick propitious grant dates vanished. That juxtaposition wounded a key line of defense and "made everyone in the room sit up and focus," says one person close to the situation. Mr. Johnson was becoming convinced the CEO would have to depart. The former Fannie Mae chief was well aware of how negative perceptions can hurt a company. In a 2004 accounting scandal that brushed close to him, Fannie Mae suffered a stock-price decline, congressional grilling and the loss of its chief executive at the time. One person recalls Mr. Johnson saying in June or July that it was unlikely Dr. McGuire would be able to survive. On July 11, directors convened for a regular meeting in Minneapolis. Dr. McGuire made a pre-emptive move. He sent directors a five-page memo suggesting a series of steps to deal with the options problem, say people familiar with its contents. He said the board could reprice any tainted options, name a chief administrative officer to remedy deficient record-keeping and make other changes to processes. Deep in the memo, Dr. McGuire said he would be ready to leave if the board thought that was in the company's best interest. The board didn't want to act before the full scope of the problem was known. It took no action. In late August the lawyers running the probe made another unsettling finding. In late 1999, the board had approved new options for Dr. McGuire and others to replace a batch that were temporarily worthless. That is, their exercise price was higher than the current stock price because of a stock decline after they were issued. In granting the replacements, the company had suspended, rather than canceled, the old ones, largely for accounting reasons. Mr. McLucas learned that in August 2000, the suspended options had been reactivated, meaning that the recipients, including Dr. McGuire, effectively got a huge second helping. For Dr. McGuire, the profit embedded in the extra options -- the difference between their exercise price and UnitedHealth's market price -- is now around $250 million. The maneuver skirted disclosure requirements and potentially violated accounting rules, WilmerHale lawyers concluded. Mr. McLucas brought the issue to the special committee and eventually to other directors. Lawyers later said two directors recalled some discussion in 2000 of reactivating suspended options for other employees, but no compensation committee member recalled intending such a lucrative award for Dr. McGuire himself. "Alarm bells were going," says a person close to the board. Meanwhile, a side skirmish broke out over math. The Wall Street Journal's analysis had found that the odds of Dr. McGuire's highly favorable pattern of awards occurring by chance were one in 200 million or greater. Some directors, including Ms. Mundinger, who has a doctorate in public health, criticized the Journal's methodology. The result was a lengthy statistical discussion among directors that resolved little. After word reached directors that Dr. McGuire had hired a statistics firm to help him rebut the Journal's findings, the WilmerHale lawyers decided to bring in their own numbers experts. In a board meeting on Oct. 2, the lawyers presented an analysis from a firm called Lexecon Inc. It said there were many ways to crunch the numbers, each yielding different probabilities. But all the odds were very long. In the end, Dr. McGuire never presented statistical data to directors. By early October, the investigative work was all but finished. A squadron of lawyers and accountants had plumbed millions of pages of documents and conducted interviews with more than 80 witnesses. After discussing Mr. McLucas's findings, special-committee members agreed that the situation was serious and the CEO's departure was a likely outcome. It fell to Mr. Burke, the former UnitedHealth CEO, to travel to Minnesota to tell his old comrade the bad news. But to the surprise of some committee members, Mr. Burke proposed a solution short of Dr. McGuire's departure. He suggested the CEO temporarily step aside until the options tempest calmed, according to people familiar with the matter. Dr. McGuire rejected the idea out of hand, two people close to the situation say. If the board wanted him to leave, he said, he'd leave. Outside directors set Friday, Oct. 13, as the day for a critical meeting at WilmerHale's Washington offices. The agenda: a review of the investigative report and a discussion of Dr. McGuire's fate. At that point, some directors hadn't yet made up their minds. The meeting began around 10 a.m. in a large room filled with directors and their lawyers. Directors not on the special committee received the 14-page report for the first time that morning, a person close to the board says. The strongly-worded report concluded it was likely that backdating had occurred and that Dr. McGuire played a central role. Citing the CEO's claim that he didn't backdate any stock options, the report dryly said, "Certain facts run contrary to this assertion." The report didn't suggest any complicity by directors on the compensation committee. It said it "might have been better" if they had paid more attention to the granting process and asked more questions. Seated around the conference-room table, the directors took about a half hour to read through the report. No one spoke. Directors asked Mr. McLucas for his assessment. According to several people, he said that he thought it was likely the SEC would bring charges against Dr. McGuire, and that the agency could seek to bar him from serving as an officer or director of a public company. Mr. McLucas told directors they should make their decisions based on Dr. McGuire's conduct. But he also said they would be in a difficult spot if they voted to keep him and the SEC sought a short time later to remove him. UnitedHealth has since given the results of its probe to federal prosecutors and the SEC, neither of which has taken action. At about 4 p.m., a subdued Dr. McGuire addressed directors. He spoke somberly, without notes, for about 40 minutes, talking about how much the company meant to him and how proud he was of its success. He said he believed he had acted ethically and appropriately, say people familiar with the meeting. "I apologize to everyone for putting the company through this trauma," one person recalls him saying. Some directors couldn't meet his gaze. "It was an anguishing event," said another person in the room who had been close to Dr. McGuire. Dr. McGuire's lawyer, Mr. Brodsky, of Latham & Watkins, made a brief presentation, saying the WilmerHale report had given short shrift to evidence of his client's innocence. Mr. Brodsky, a former federal prosecutor, said the CEO's money-management relationship with Mr. Spears had been properly disclosed, citing a company lawyer's 1999 email saying "the full board" had been apprised of financial conflicts. Mr. Brodsky also contested the report's treatment of a McGuire memo that counted against him. In it, the CEO wrote to the compensation committee on Oct. 22, 1999, about a grant that "should be awarded." Despite his use of the future tense, this stock-option grant ultimately bore an earlier date: Oct. 13, the day the stock closed at its lowest price that year. Mr. Brodsky called this meaningless. He said the memo was a rewrite of an earlier draft, and Dr. McGuire merely hadn't fixed the verb tenses. Dr. McGuire and his lawyer left the room, and directors asked Mr. McLucas for his impression of the defense. "I don't think there's anything we've heard that would change our assessment," one person recalls the lawyer saying. Directors took no action that Friday. On Sunday, the board had scheduled a meeting in Minnesota. Exhausted, they changed plans and convened instead in Washington. Dr. McGuire didn't attend. Mr. Spears, the compensation-committee member who managed some of Dr. McGuire's money, arrived at the meeting. He then submitted his own resignation from the board and left. At the meeting, directors took a vote on a 14-step plan to deal with the options issue. It included Dr. McGuire's immediate departure as chairman and his resignation as chief executive by Dec. 1. The vote was unanimous. Mr. Burke traveled to Minnesota to deliver the news. Later, several directors called Dr. McGuire to express their gratitude for his service and their sadness over the way things had ended. Dr. McGuire was distressed, said a person familiar with one of these conversations. "He continues to believe he did nothing wrong, which makes it all the more painful." Last Thursday was the last day Dr. McGuire reported to his 10th-floor office. A private man, he left that day without emotional goodbyes. Said one person close to the matter, "He slipped out without anyone noticing." What Didn't Happen at Yahoo!